Tucked away into the Himalayas the wondrous kingdom of Bhutan has some beautiful stories. This story is about four friends, an elephant, a monkey, a peacock and a rabbit. This is a well-known story all over Bhutan. In the beginning, the four friends were not friends. 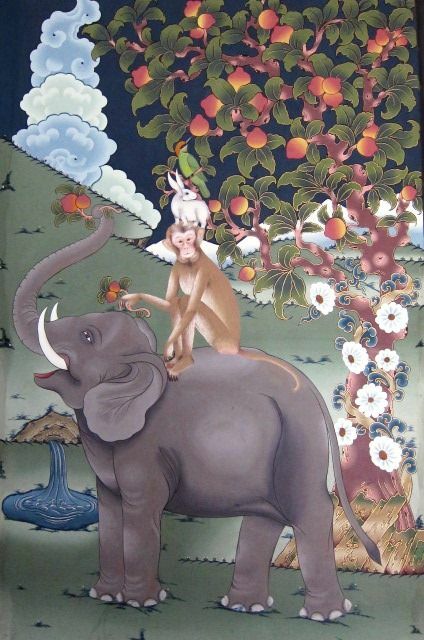 They argued about who had the right to a fruit tree, whose delicious fruit was enjoyed by all of them. This argument stopped when a man overruled them and claimed ownership of the fruit tree. The four friends wondered what to do to get the fruit they all loved. They wanted to help each other so they became friends. With collaboration and cooperation much can be achieved. Our collaboration with Tarayana Foundation is similarly leading us to achieve the goal we treasure most – service. On day 4, we drive to Taksha Chhu, from there we begin our trek to trek to Rukha via Samthang. My research shows that Rukha is a remote village of 20 houses dotted around the hillside. The houses are built in the traditional style, steep steps leading up to the first floor with the kitchen on the outside. 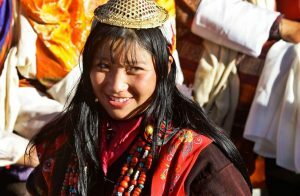 According to the Tourism Council of Bhutan website, Rukha is an excellent place to gain insights into the lives of rural Bhutanese farmers. The website also said while it is possible to camp out during your visit we recommend asking your guides to arrange a home-stay with one of the local families. The farmers will happily welcome you into their homes and regale you with local legends of mermaids and ancient kings. I love stories! Can’t wait. activities as planned by our education coordinator for this trip – Master Sha’s certified Master teacher Francisco Quintero! He has been diligently working on creating a beautiful plan of practices, teachings and more for each of the places we will visit during our 2 week journey into the mountain kingdom. A sneek peak into the plan reveals we will be serving by sharing forgiveness practices, Tao Calligraphy tracing with Da Ai Tao Calligraphy Cards (we have them translated in Dzongkha), Love Peace Harmony chants (in Dzongkha) and a surprise to be revealed live from Bhutan! The community activity is followed by a visit to schools the next day. We will spend these 2 days in the villages of Rukha and Samthang. We will live like local villagers and experience their way of life – beautiful and pure, simple and without city comforts. There will be no internet on these days so I will not be able to blog live! When we return to Thimpu or Paro we will post photos, videos and more! Thank you for this most exciting blog! So wonderful and full of light and love. Im excited to know more about your adventures!! Thank you for your love and excitement! 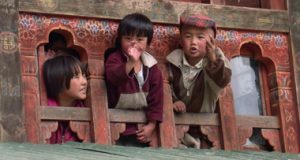 This is beyond exciting for Bhutan, for Humanity, and for the dedicated five teachers bringing LPH to Bhutan! It’s a heart-centered country ready to shine the light of Love, Peace and Harmony for all Humanity! Thank you Hardeep! Going to Bhutan and learning the culture and the wisdom from this deeply spiritual land is so exciting. We are going to receive so much more than we can ever offer. We are so blessed! thank you Rhonda! love you so much. I am so excited and honored to be posting live onsite. We are planning to make little videos and film everything we do so all of you feel like you were with us. Thanks for sharing. What a great way to spread Master Sha’s teachings. Looking forward in learning more about this far and hidden country through the posts and videos. thank you Julia! look forward to sharing so much more with you! thank you Shawna! please keep writing in to us and sharing! I really really really hope we can do Facebook live from there so we can all be together virtually on this incredible journey! Dear Master Firuzan, I look forward to learning about life in Butan, through your blogs. Sounds like a most wondrous, beautiful place. Already I feel deeply moved this will be an unforgettable experience for you. Dearest Giota, love you! thank you for writing in. Yes, I am already in love with Bhutan myself. Every bit of research I do brings me to realize the great humility, love and light of these beautiful people living in a wondrous land. The life is hard, the terrain is mountainous, basic amenities are so far away and yet the joy they radiate is amazing! By living their life in a very small way, we will all have greater gratitude and humility for all we have received. I’m truly so excited about this and my heart and soul, along with many others, will be with you and the team every step of the way in your Journey to Bhutan. Thank you for sharing with us! With the greatest love. thank you Marsha! We will connected heart to heart. Soul to soul! 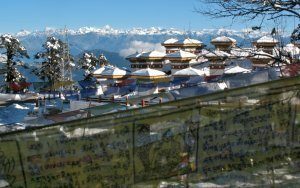 Thank you so much for writing this for all to experience LPH Land of Bhutan! Master Sha sending all of you is a wonderful example for possibilities for beautiful spirit of nuns as well. They have so much wisdom for women everywhere, same as you. It’s exciting they also spend time with all of you! Love you. Love you. Love you all. It is so beautyful to see all this pure and lovely faces of children and their deep wisdom! how blessed you are to be there and how blessed we are to see you! i send all my love to the himalayan mountain and buthan and the children and to you my soul is with you! My heart is so moved! I wish to follow each day of your incredible journey! I send my biggest Da Ai to all of the Masters and souls of Bhutan!